Card Text Play/Reap: Deal 2 to each other creature. 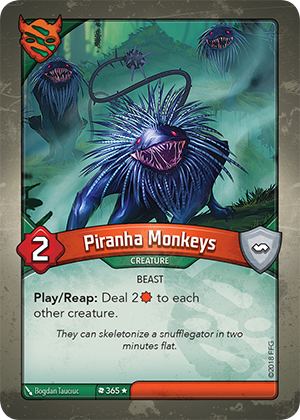 Flavor text They can skeletonize a snufflegator in two minutes flat. This is affects every creature – except itself – including your own creatures.